Trinh, our 2013 Cecilia Moy Yep Scholar, aspired to succeed at Central High School through her work ethic, determination, and diligence. In the words of one of her teachers, "She is like a bulldog when it came to her school work ... an absolute model student ... a beacon of sunshine... embodies the Central High School spirit”. 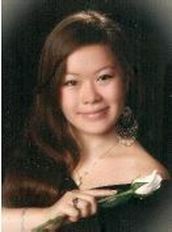 Besides participating in various community service activities which included fundraising for autism, cancer and AIDS, Trinh was co-captain of the Varsity Tennis Team, a member of the Indian Pakistani Cultural Organization and Blood Drive Committee, and treasurer of the Central Student Association. Even after graduation, she stayed committed to her middle school and neighborhood by managing two Catholic Youth Organization basketball teams at Mary, Mother of Peace. Balancing mostly honors and Advanced Placement courses, her service activities and two jobs, she was still able to achieve honor roll status for all four years. Her close-knit family, especially her parents, has been her inspiration to continue her academic journey at Temple University's College of Health Professions and Social Work majoring in Therapeutic Recreation. Sherry acknowledges community service as "What has made her what she is today - more social, aware, and selfless”. She is firmly committed to volunteerism and appreciates the impact it has made on her. Among her activities are tutoring at Christopher Columbus Charter School, the elementary school she attended, through the Foundations After School Program, participating in various projects on Saturdays as part of build-On, and packaging and delivering food packages to senior citizens with the Jewish Relief Agency and volunteering at the Chinatown Block Party. As a member of the National Honor Society, Sherry tutored Algebra and Pre-Calculus. For several years, Sherry was a part of KidsJudge! at the Neuroscience Fair at the University of Pennsylvania. Her competitive spirit and endurance have been manifested both as a volunteer and participant in various marathons in the Philadelphia Area. She has won awards for her talent as a pianist and for Mandarin Chinese. With such demands on her time, she was still listed on the Distinguished Honor Roll from the 9th to the 12th grades at Academy at Palumbo. Sherry will be attending the University of Pennsylvania in the fall. 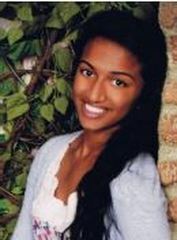 Sefy goes about her daily living with her high school motto as her motivation - "Dare to Be Excellent" and truly exemplifies these words at Masterman High School. Her accomplishments are too numerous to list, but some of them include: member of the National Honor Society and La Soiedad Honoraria Hispanica where she spends mornings tutoring on various subjects, co-captain of the volleyball, basketball and softball teams where she sees herself as a role model and strives to motivate her teammates to excel in athletics, academics and in the community, and member of the Philadelphia Student Union to help make Philadelphia public schools a better place for all students. Sefy co-founded a new after school program at Masterman called Medical Careers where students gain insight into the medical field. She is active in the community where she tutors students in her neighborhood and adults in their college classes. She has spent four years working with the University of Pennsylvania's Endocrinology and Infertility Clinic and Research Lab teaching students through a program called the Penn's Academy of Reproductive Sciences. Sefy aspires to become a physician for women's health. 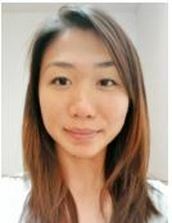 Because of her outstanding achievements, she has been accepted by Drexel University in their seven-year accelerated BS/MD Program. Emigrating with her family from their native Philippines in 2007, Guia started a new chapter in her life in the United States. She was determined to adjust to her new country and to excel academically. 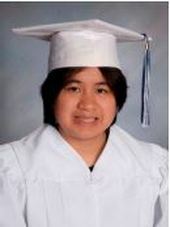 This 2013 graduate of Roxborough High School is her class salutatorian. Guia was the Art Director of her high school newspaper, The Ridge Record, and participated in numerous extracurricular activities. She was involved in Urban Sustainability Leadership Academy (USLA) and worked part-time through the Teens4Good Program. Through Teens4Good, she was introduced to the Federation of the Neighborhood Centers, an organization that helps families with social and educational services. Her experience with community service has inspired her to pursue a career in animation production hoping to educate and develop especially youth in creating artwork in motion for underserved communities. Guia will be attending the University of the Arts.